People often laugh when I tell them that I start my Christmas shopping in July. The way I see it, there is wisdom in strategically evading the raging December rush. What unfolds is a madness that can make even the most passionate shoppers cringe. 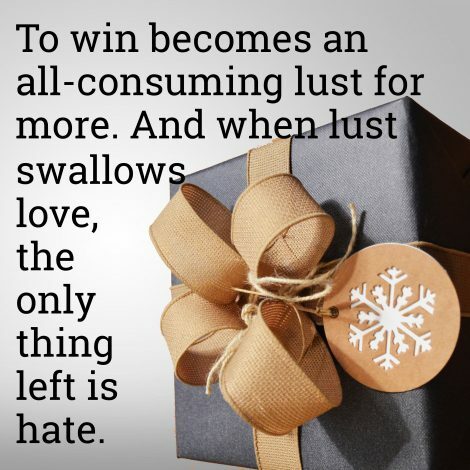 While the central point of the season is celebration, we often get distracted by a society that screams at us to spend. This shopping frenzy merely reveals an excessive culture of consumption. We consume more thinking it will somehow make our lives worth more. We fill rooms, garages, and self-storage units. We tell tales of idyllic travel and waste hours finding that online deal. We fill our days but empty our hearts. Somehow we know there’s a better way to live. We realize we get caught up in a culture that tells us we need more to make up for the things we lack. But as we consume more, we feel emptier which leads to consuming even more. It is time to live differently. We need to consume less, because we know it steals our joy. More than that, our consumption impacts the environment, climate, and the lives of people just like us working in horrendous factory conditions. To change our consumption habits, we must not only retrain our minds, but also uncover our hearts. In our connected world of breaking news and horrific sights witnessed almost daily, it can feel like there is no space to lament the losses we encounter. We become dull to their impact and hardened to the heartbreak. Oftentimes we prefer it that way. To be moved by every tragedy would crush us. But to refuse to be moved has even worse consequences. 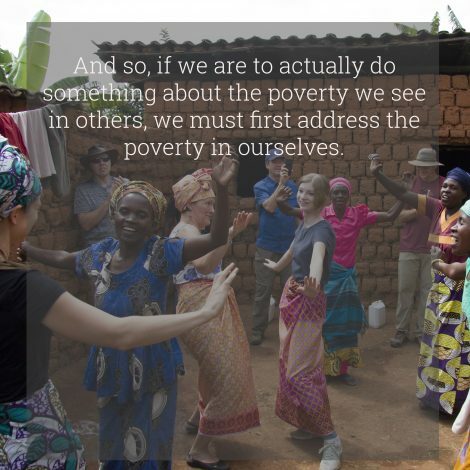 If we are going to live justly in this broken world, we must allow ourselves to be impacted by what we see. 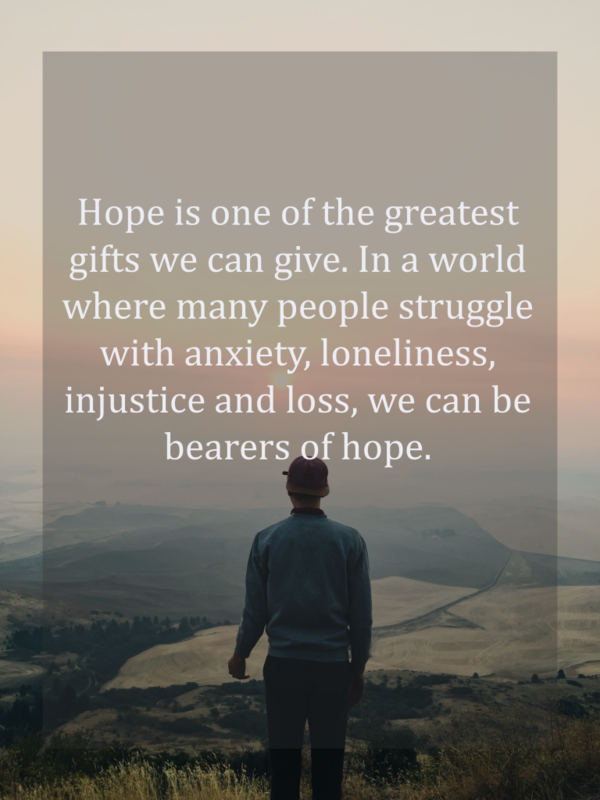 Where our world pauses for only a moment, it is increasingly more important to lean into the pain and intentionally pause to lament the injustices we witness. 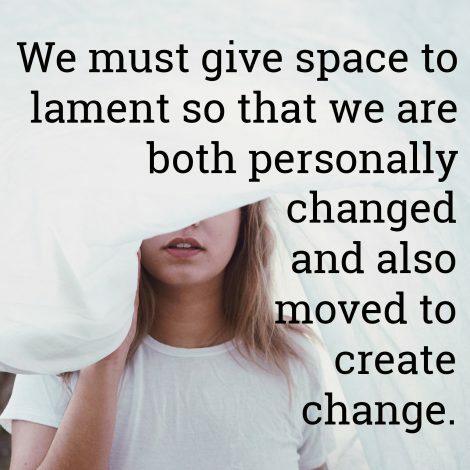 We must give space to lament so that we are both personally changed and also moved to create change. She turns to see who’s there, but finds no one. There is no one for miles. She is halfway between Shur and nowhere – stopped by a spring in the desert. Her swollen feet scream for rest and her growing belly, alive with new life, demands that she refresh, at least for a short while. In her exhaustion, she pauses to think, trying to form some sort of plan. 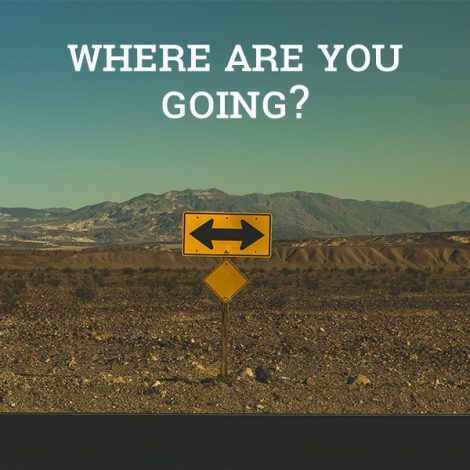 She needs some semblance of direction for she doesn’t really know where she is going, but she knows why she is going. If only she had thought this through before she ran away. Urban culture is currently captivated with a new phenomenon: simplicity. Many are de-cluttering their lives and embracing the capsule wardrobe, simple living, minimalism, clean lines, and bare surfaces. We can learn a lot from this movement such as: how less is often more, how making space fosters creativity, and how simple living can reveal a rare depth of beauty. I had a roommate in college, named Mandy, who encapsulated minimalism. Mandy kept a simple quilt on her bed, a few select clothes in her closet, and a photo of her sponsor child on the wall. She stored the obligatory stack of textbooks on a shelf, and from somewhere, a sewing machine would periodically appear on her desk to fashion a thoughtful gift. I was always amazed by how simply she lived, and how that evoked such beauty. Mandy was a clear thinker, a focused individual, an intentional friend, and consistently generous. She laughed easily but didn’t mince words. 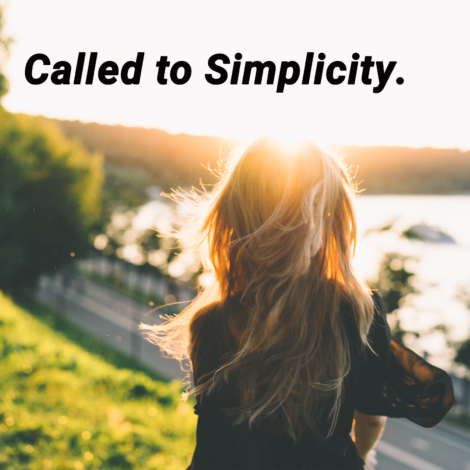 She kept her eyes keenly fixed on Christ and modelled how the spiritual discipline of simplicity bears the fruit of righteousness (or as I like to break it down) – right living. Mandy’s continued influence reminds me to pursue the most important things, which are often not tangible.